It was an exciting day yesterday in Chandler for St. Vincent de Paul. 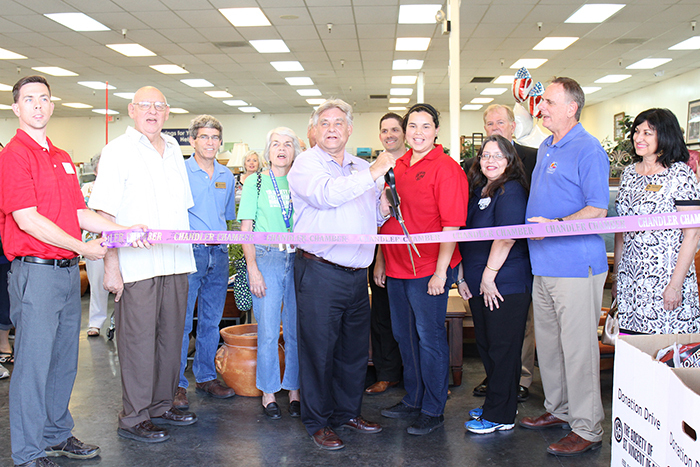 We held a grand opening for our newest thrift store on the southeast corner of Alma School and Elliot Road. We celebrated this grand opening with an official ribbon-cutting ceremony and were honored to have Chandler City Council members and the Chandler Chamber of Commerce present to commemorate the event! The celebration continued as shoppers enjoyed special giveaways, raffle prizes, snacks and refreshments, and 40 percent off purchases throughout the day. 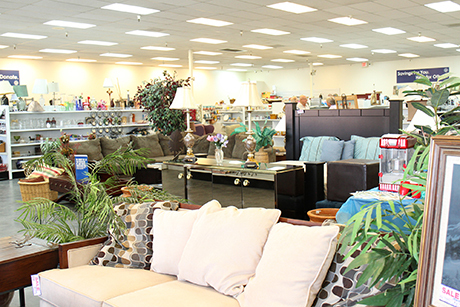 The new store carries furniture, clothing, artwork, appliances and other household items. Individuals can drop off donations during store hours, or a pick-up may be scheduled online, or by phone: 480-812-1156. The store, located at 963 W. Elliot Road, is open Monday through Saturday from 9 a.m. to 6 p.m. and on Sunday from 11 a.m. to 4 p.m.
SVdP thrift stores serve as a distribution point for those most in need and generate funding for our services, including our valley-wide food pantries, dining rooms, services for the homeless and our medical and dental clinics. We hope you can visit our new store soon! 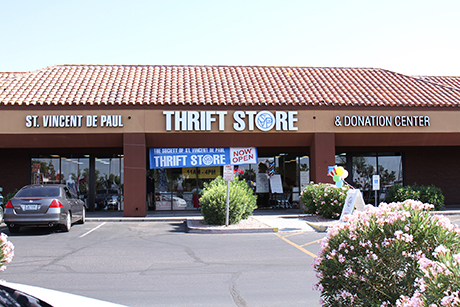 See the locations and hours of our other valley-wide thrift stores here.